Hayato, Natsumi, Aya, and more join the cast. The latest issue of V Jump confirms a number of Summon Night 1 characters set to join the upcoming Summon Night 6: Lost Borders. Hayato Shindo (voiced by Toshiyuki Morikawa) – A hero who harbors the power of the Demon Lord. Natsumi Hashimoto (voiced by Tomoe Hanba) – A newbie heroine. Aya Higuchi (voiced by Yuri Shiratori) – A young girl seeking the truth about the world. Additionally, the magazine reveals that players will be able to have evening conversations with the protagonist they do not choose (the game features both male and female protagonists). There will also be sub-events where you can increase your favorability with characters, which are tied to status bonuses during battles. 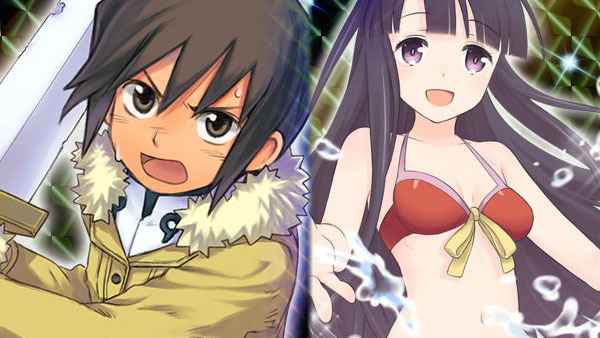 Summon Night 6: Lost Borders is due out for PlayStation 4 and PS Vita in Japan in spring 2016.